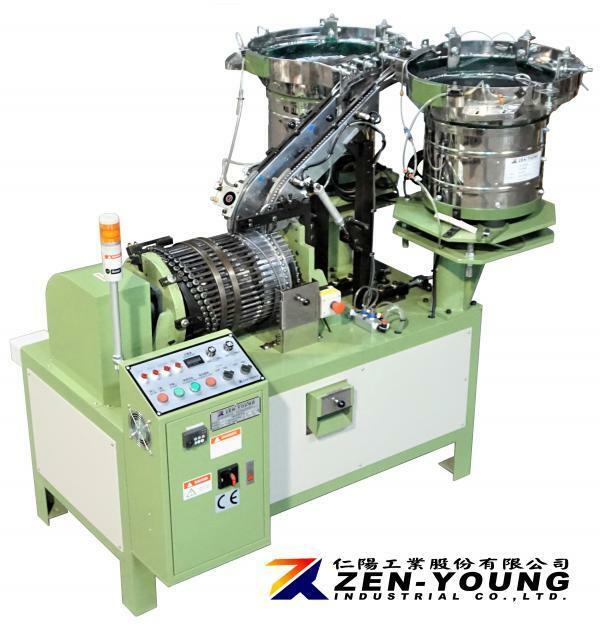 Nail & Hammer Metal Anchor Assembly Machine(ZYS) - Zen-Young Industrial Co., Ltd. Programmable logic control of all movements. VIDEO - ANCHOR SIZE 1/4" X 2"
100% Sorting device for unassembled nail or anchor. 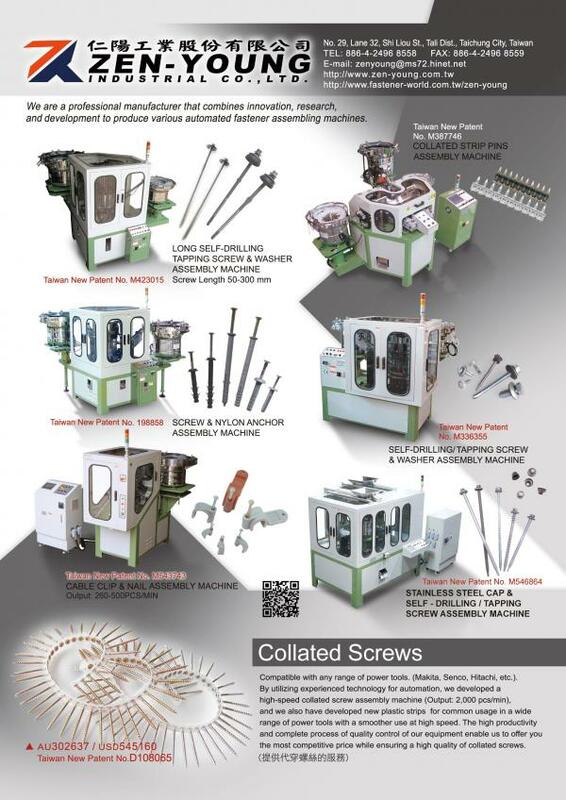 When the supply of nail or anchor is late, the machine will stop automatically. After the feed tracks are full of nail or anchor, the machine will be automatic movement.